Mark Balelo, a buyer who appeared on several Storage Wars episodes, has died. Balelo's body was found on Monday, two days after he was arrested on suspicion of possession of methamphetamine. It's believed that he committed suicide via carbon monoxide poisoning. An autopsy is scheduled for today. 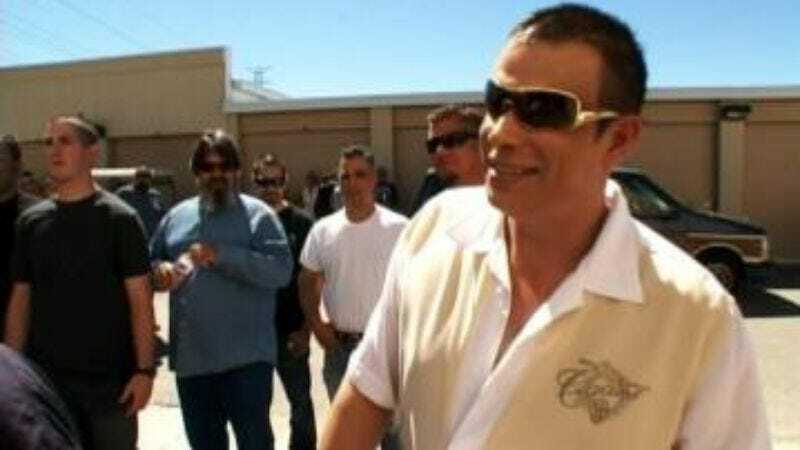 Balelo, 40, was one of Storage Wars’ flashier characters, always showing up in sharp clothes and wielding upwards of $50,000 in cash from his man purse (or “murse”). He even sold custom versions of his signature accessory on eBay, complete with an autographed picture of himself. In 2011, Balelo bought a storage locker that contained a 1938 Action Comics book that had been stolen from a locker belonging to Nicolas Cage a decade earlier. Balelo returned the comic book, which was valued at $1 million, to Cage. Last year it was reported that Thomas Lennon and Ben Garant planned to turn the story into a movie for Lionsgate.